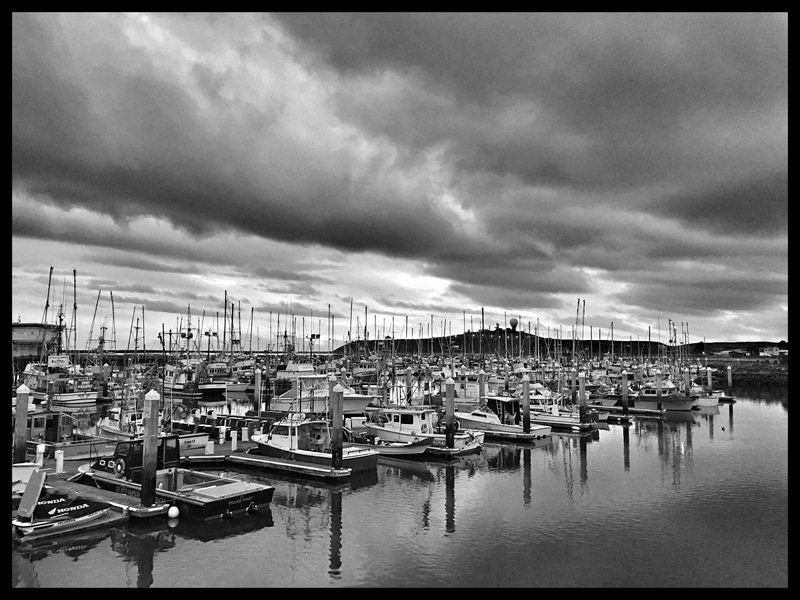 This is the Pillar Point Harbor in Half Moon Bay. The locals say the harbor is in Princeton-by-the-Sea, but the signage says Half Moon Bay. Note the round radar dome in the background. On the other side is the world-famous big-wave surf spot, Mavericks. A gorgeous photo, Tom. I like the way the black, white and grey lines and angles of the boats contrast with the same tones of the smooth rounded clouds. Thanks Allan. It was beautiful that evening. Absolutely beautiful photo. Thanks for playings.